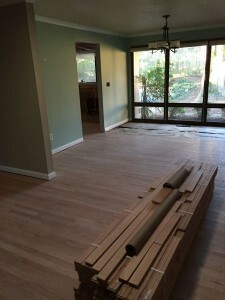 Sometimes during the process, a remodel can feel like it is taking FOREVER, but once it is done and the homeowner gets to move back into their space and start enjoying it…..the memory of the hard parts starts to fade. This homeowner was no exception. 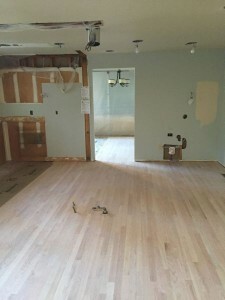 There were moments when she was just ready for it to be done, but she is now 100% happy with her beautiful new kitchen, her updated bathrooms, her new floors, and her beautiful mantle! We’re proud to have completed this wonderful old home remodel, taking the vision and dreams of the homeowner and making them a reality! 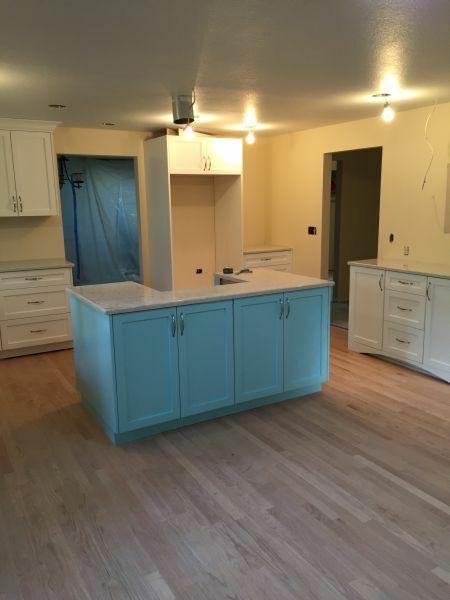 If you have questions about this project, or how our team might make your home remodeling dreams come true, please contact us! The floors have been refinished, the cabinets and counter tops are in place….now it’s time to start putting the final finishes together! This is one of the most exciting parts for me! 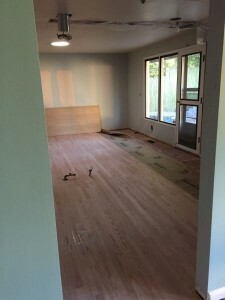 You can see the end of the project in sight, and you can see right before your eyes what you were only picturing in your mind a few weeks back. 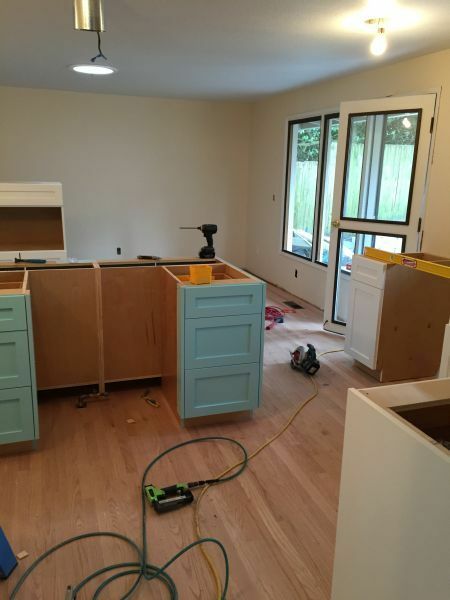 Appliances are usually the last to go in, and things are nearly complete when they are installed! 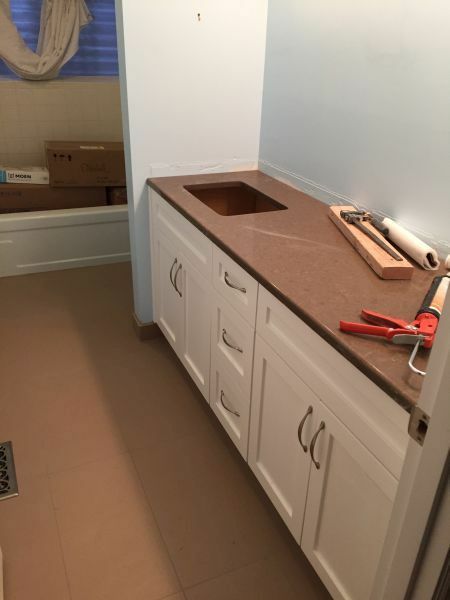 While work continues in the kitchen, we are also focused on finishing the Master bathroom. I have a terrible addiction to “before and after” pictures. 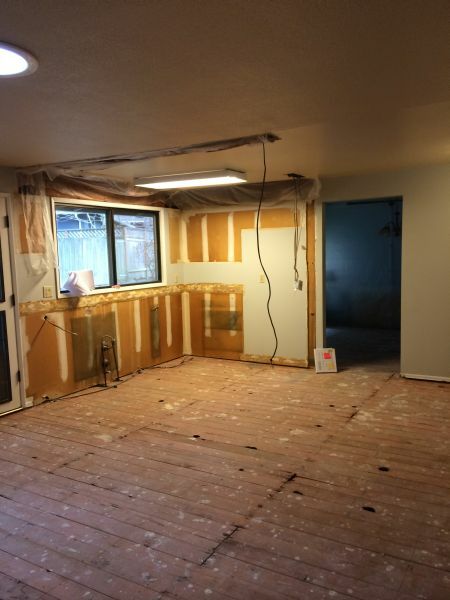 Sometimes once everything is torn out of a house, we start to forget what it looked like before. The transformation from “before” to “after” never ceases to amaze me! 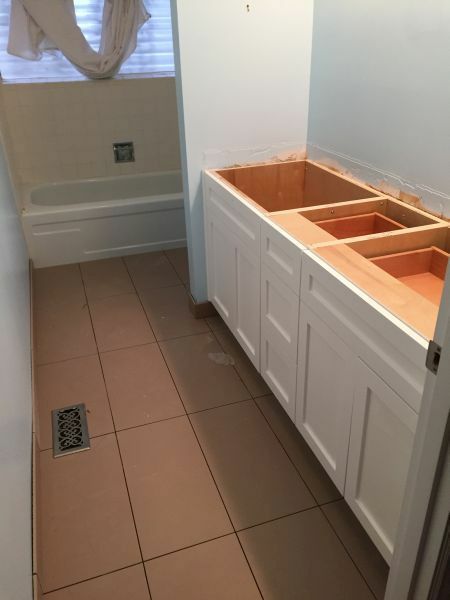 Here’s are a quick “before” picture of the master bathroom mostly because I had to go back and look at it myself just to remember what it looked like! 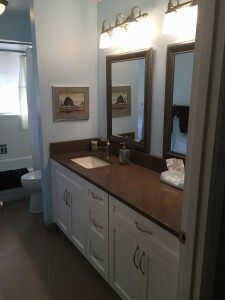 This is a small bathroom remodel, and the toilet and shower are separated from the vanity by a door. 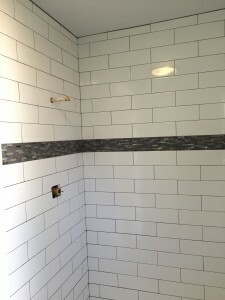 We installed new tile flooring and a new tile surround in the shower, and we also added a shower niche. In a small shower like this, a niche is a great thing for storing those shampoo bottles out of the way! 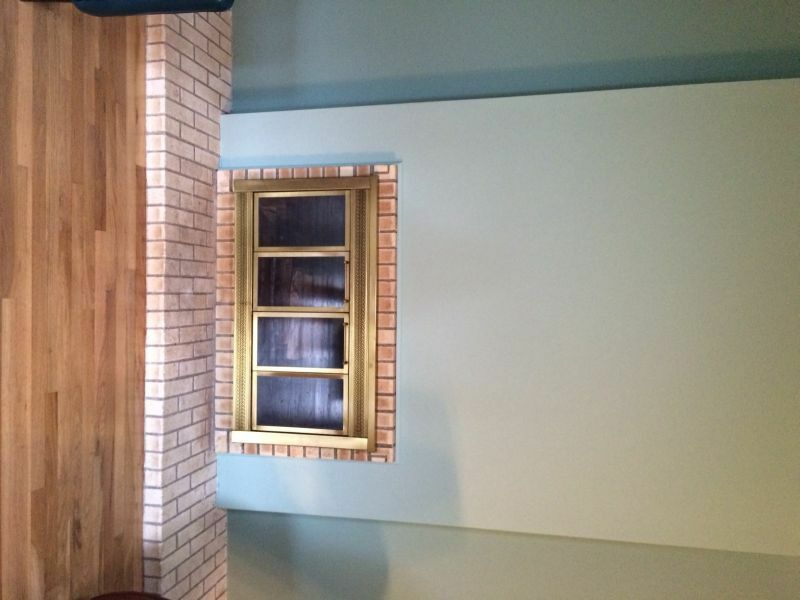 A niche can be added to most spaces for a minimal cost. 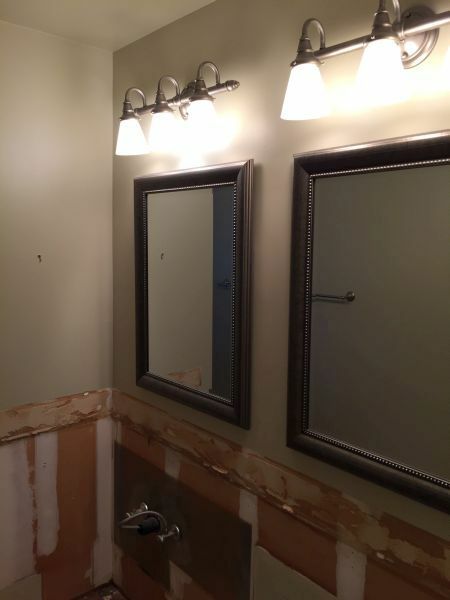 We replaced the toilet and shower fixture as well, and when the new shower door gets installed next week, we will also be installing grab bars in the shower and next to the toilet. 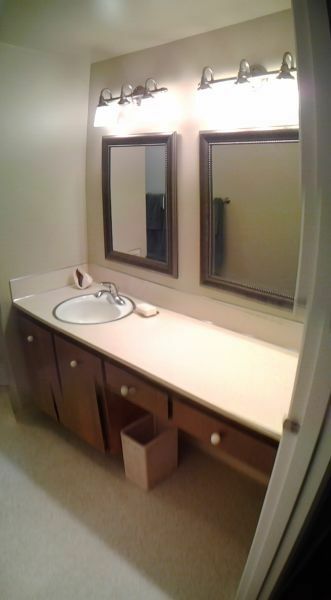 The grab bars are a great feature if you are thinking ahead and planning for your “golden” years. (I’m really not sure if that is what they are called…..I just know I am headed that direction)! 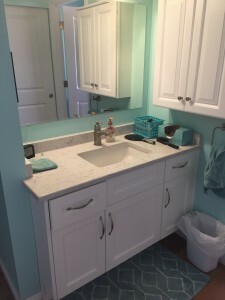 In the vanity area, we replaced the vanity with a beautiful white painted cabinet, and the same countertop that we used in the kitchen. 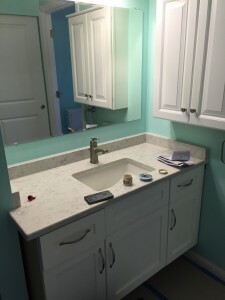 The homeowner LOVED this countertop, and it was also a cost effective choice to use some of the same piece that we used in the kitchen. 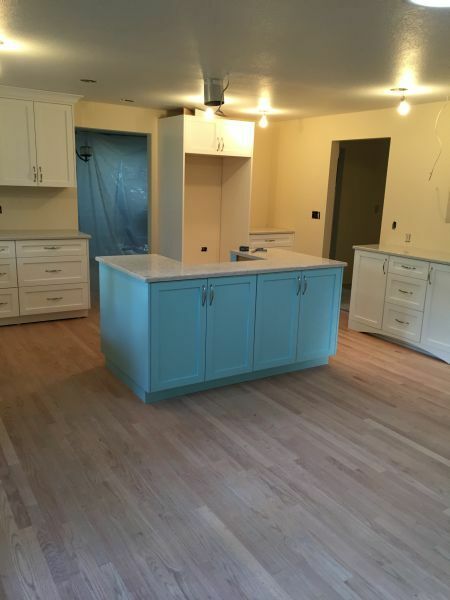 A few more finishes are still ahead, but it is coming along nicely! 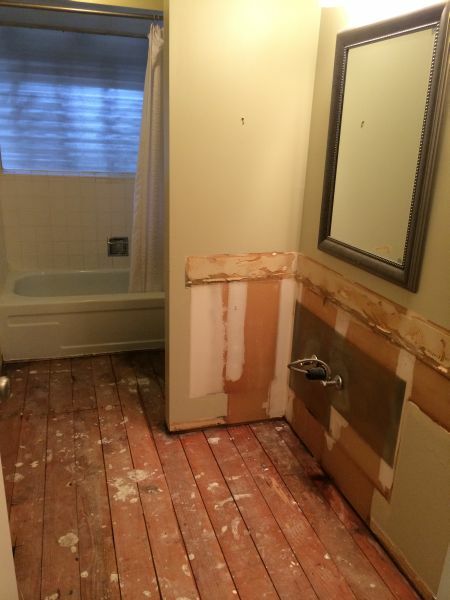 The homeowner decided that she would like to keep the existing shower pan. She didn’t want to replace it. 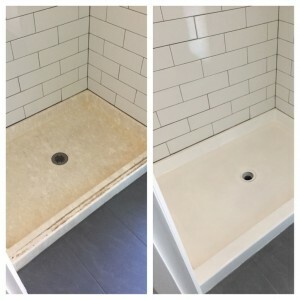 This is not really a problem, we can usually work around that, but the age of the shower pan really showed after the new white surround tile was installed. 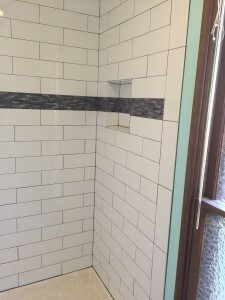 Before we can install the new shower door, we needed to fill the holes in the shower pan from the previous door so that there was not chance of water getting in them in the future. 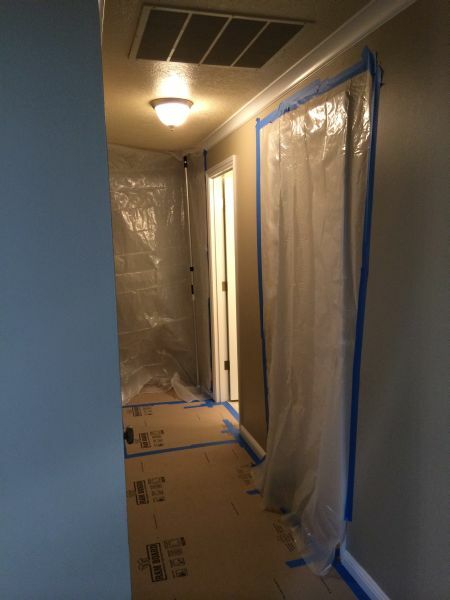 Our subcontractor who specializes in fiberglass fixes like this took a look at it and also asked if we would like to resurface the whole shower pan. 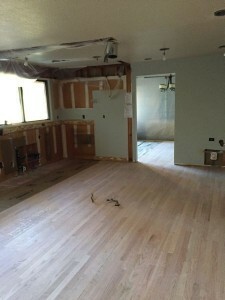 The cost to resurface the pan was an addition that was in the homeowners budget, so she gave us the go ahead. We were both very happy with the results! About half a days work, and no setback to the schedule, and the results are PRICELESS! 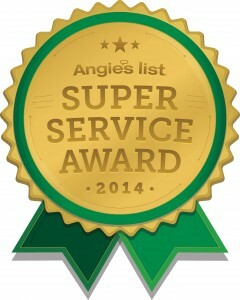 Leitner Construction has earned the service industry’s coveted Angie’s List Super Service Award, reflecting an exemplary year of service provided to members of the local services marketplace and consumer review site in 2014. 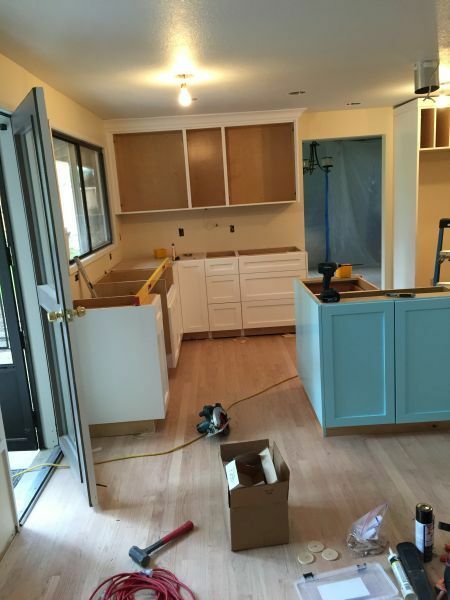 Countertops being installed is another very exciting day in the renovation process. Things always look unfinished in a kitchen remodel until those bare cabinet tops are finished with sleek, new stone counters. 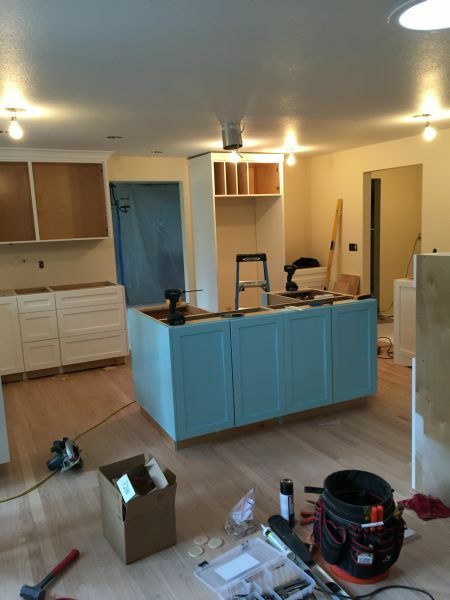 It’s at this stage that the homeowner finally gets a real sense of where the remodeling project is going, and can start to dream about accessories, kitchen items and decor, and even that first home-cooked meal in the brand new kitchen. 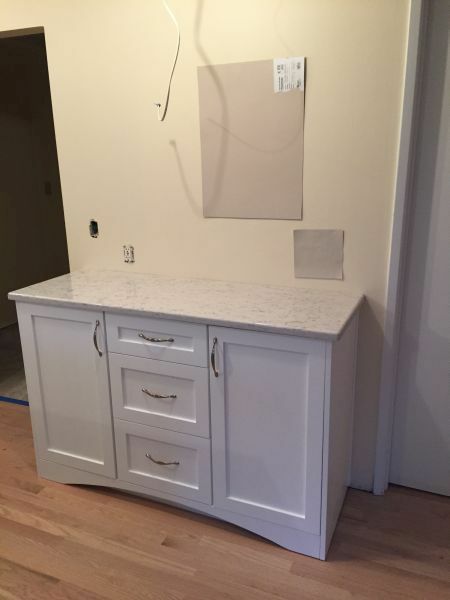 In this case, the homeowner made the wise choice of Silestone Lyra Quartz for her countertops. 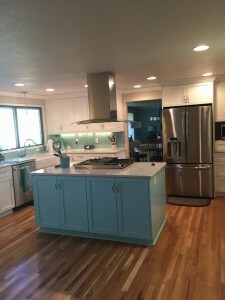 She had her heart set on the look of marble from the very beginning of the project, and she is very happy with her choice and the style of her new counters. 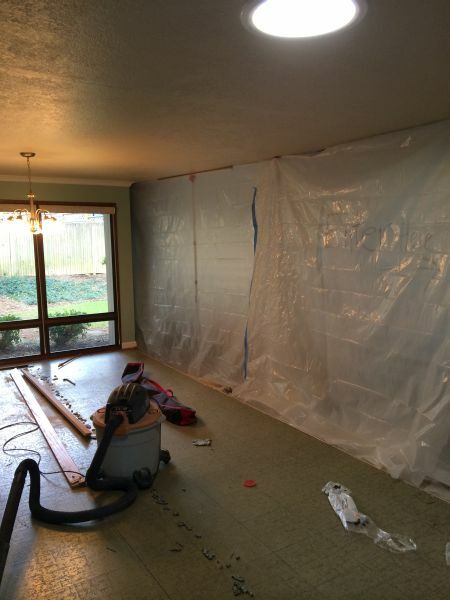 Keep checking back for more updates on this classic Portland home remodeling project! 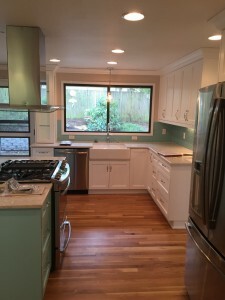 January 31, 2015 – Leitner Construction of Portland, OR has been awarded “Best Of Houzz” for Customer Satisfaction by Houzz, the leading platform for home remodeling and design. 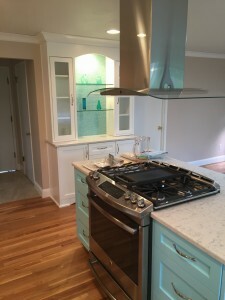 The Portland Remodeling Construction Firm was chosen by the more than 25 million monthly unique users that comprise the Houzz community from among more than 500,000 active home building, remodeling and design industry professionals. The percentage of homeowners in the United States is at an all time low, according to the Census Bureau, which reports only 65% of Americans currently own their own home. However, home sales have been increasing this year, and 2015 is expected to be a solid year for the housing industry as a whole. 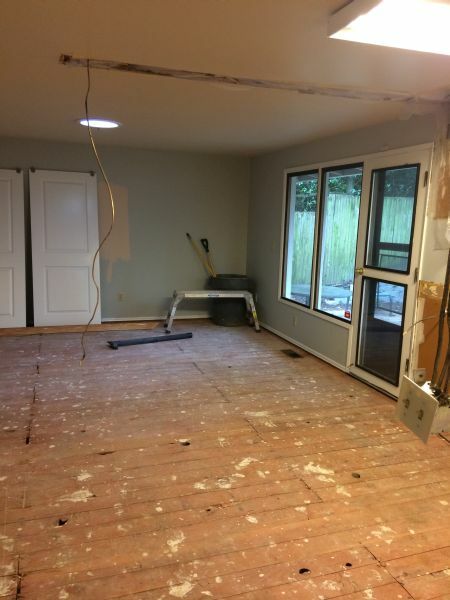 As a Portland Remodeling Contractor, Leitner Construction is poised to address the needs of new and existing homeowners who make the decision to remodel. 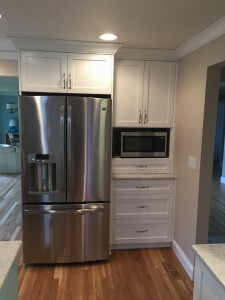 The most popular projects this year, according to the 2014 Remodeling Cost vs. Value Report, are deck additions, attic bedrooms, basement remodels, kitchen and bath updates, entry door replacement, garage door replacement and window replacements. 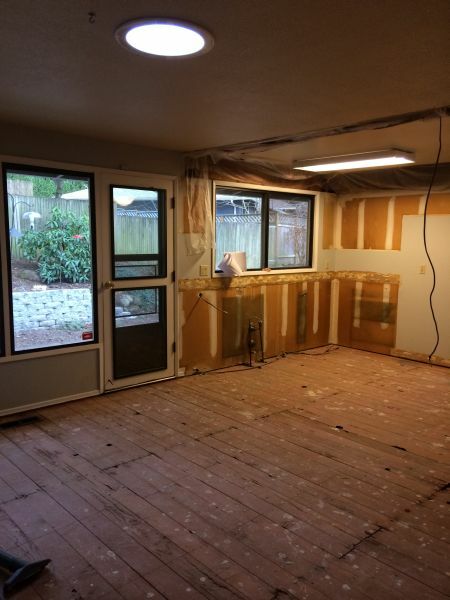 Homeowners got the highest return from investment from these types of projects, with gains of anywhere from 10 percent to 38 percent ROI per remodel. Touchless faucets and hot water dispensers are surging in popularity. Deck pavers add some style, while lasting longer . They are also cooler than traditional deck materials like wood or cement. Layered lighting and under-cabinet lighting add a softer dynamic to a room and modern families almost require USB docking and charging stations. 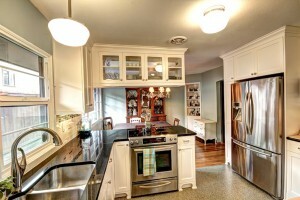 HGTV’s Anne Kruger is a proponent of Free Style kitchens, noting “Because we’re spending more and more time in our kitchens, there is a move away from the all-or-nothing ‘fitted’ look of continuous counters. 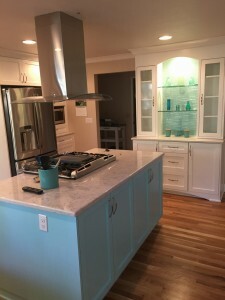 Look for more freestanding pieces of furniture or features with furniture-like qualities, such as a cabriole leg holding up a kitchen counter.” Kruger also illuminated the growing movement towards eco-friendly appliances, artsy custom kitchens and the use of more organic shapes in kitchens, a move away from hard lines and sharp corner. 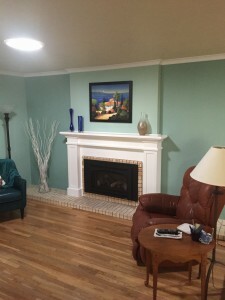 Getting rid of a wall here and there can open up a floorplan, providing a roomy, spacious feel while allowing easy travel between rooms and even opening up more space for furniture. Organic, chemical and dye-free materials are becoming more popular, and now homeowners can take advantage of tax credits to upgrade the energy efficiency of their homes. 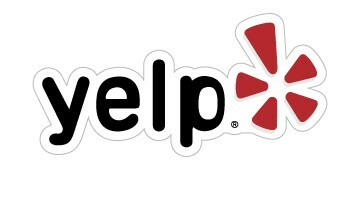 Virtually anything can be networked and controlled via automated programs or on-demand IPhone or Android apps. 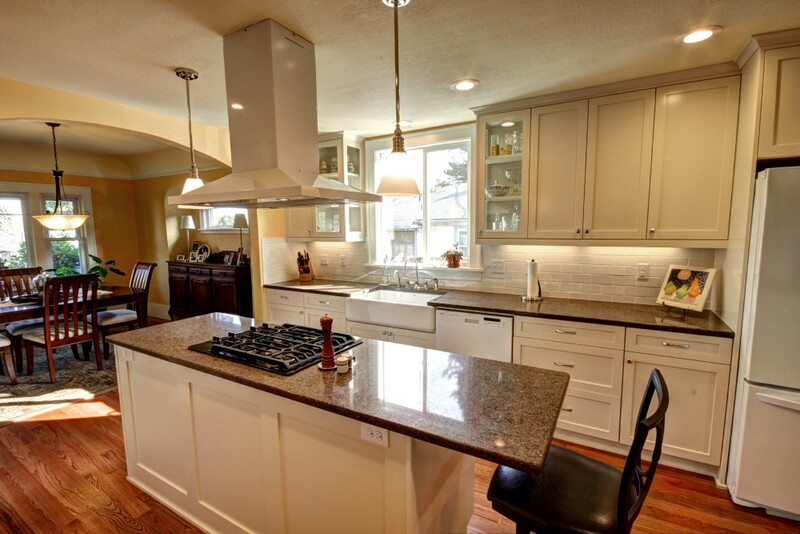 Lighting, appliances and more…take note of this trend over the next decade.